Let yourself be seduced by our beautiful charming chalet, ideally located, well exposed, quiet and classified 3 stars. 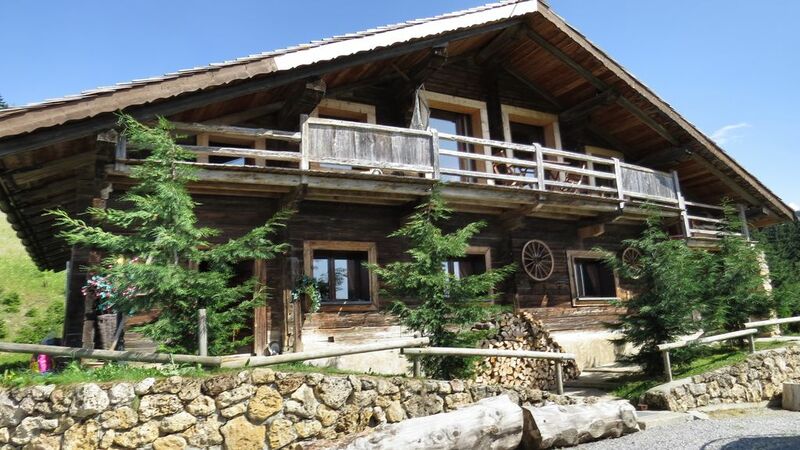 We offer an old authentic alpine farm completely renovated, in a natural site, offering an exceptional panorama on the chain of Aravis, view on 360 degrees. Our accommodation is comfortable with 3 bedrooms, 1 living-dining room, 1 kitchen (oven, dishwasher, hob 3 induction hobs, microwave, fridge freezer), 2 bathrooms, 2 WC including an individual. There is also a laundry room with washing machine. For relaxation we have provided a very large mountain area with TV and home theater, as well as high-speed Wi-Fi. You will have direct access to the ski slopes and you will be 500 meters from the ski school and the center of the village. We offer discounts depending on the period. le chalet est fidèle à la description. Situé à quelques mètres d'une piste bleue il permet de rejoindre facilement la station tout en étant au calme et en bénéficiant d'une splendide vue. "chalet calme et agreable belle vue sejour reposant"
You will be 15 km from Megève, 25 km from the white highway of Sallanches-Paris, 30 km from Albertville and 50 km from Annecy. You can rent your skis at Dumoulin Sport in Crest-Voland. Do not hesitate to visit Annecy, Megève and Chamonix and taste the regional cuisine.